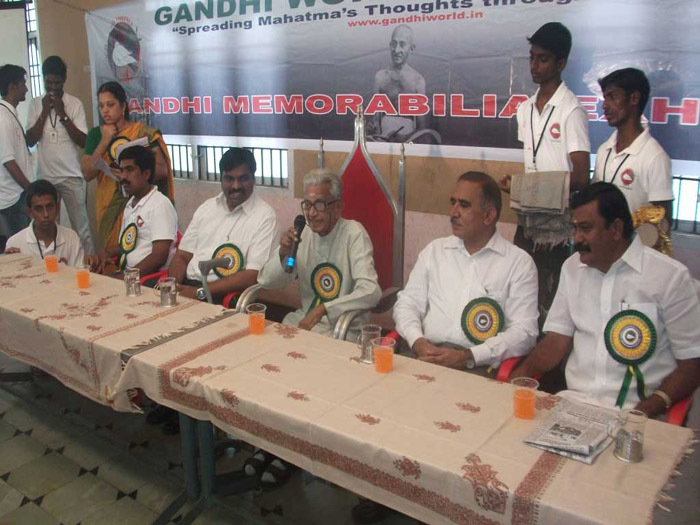 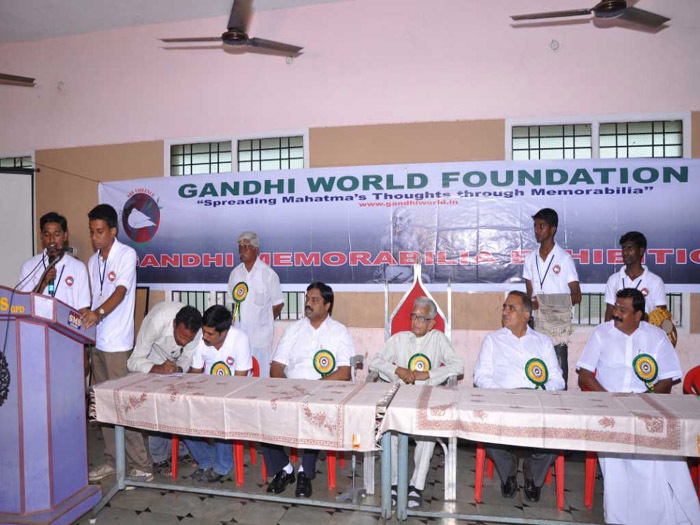 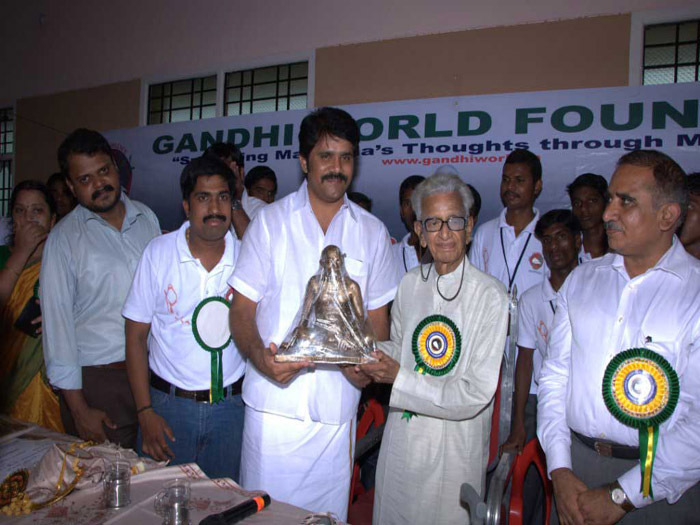 2nd GANDHI MEMORABILIA EXHIBITION - INAUGURATED BY SHRI. 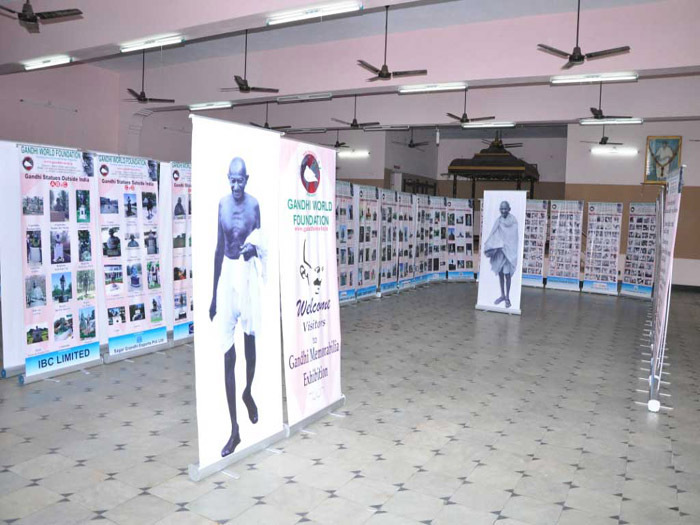 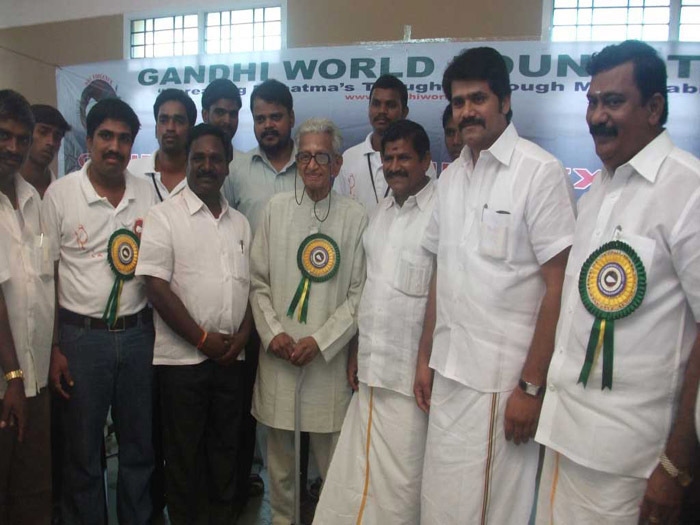 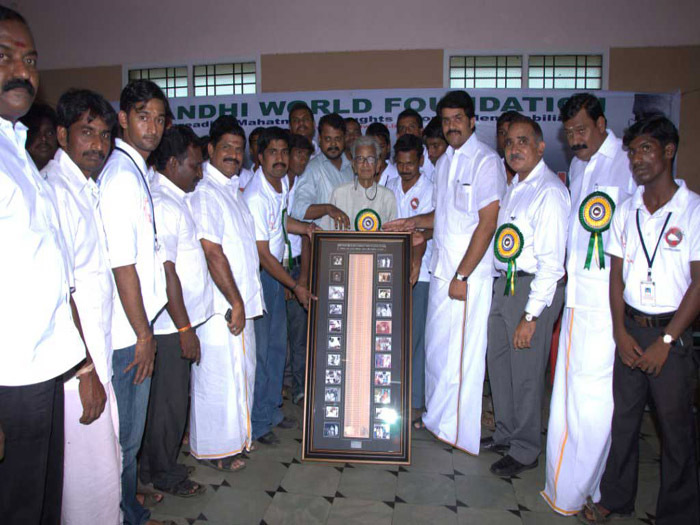 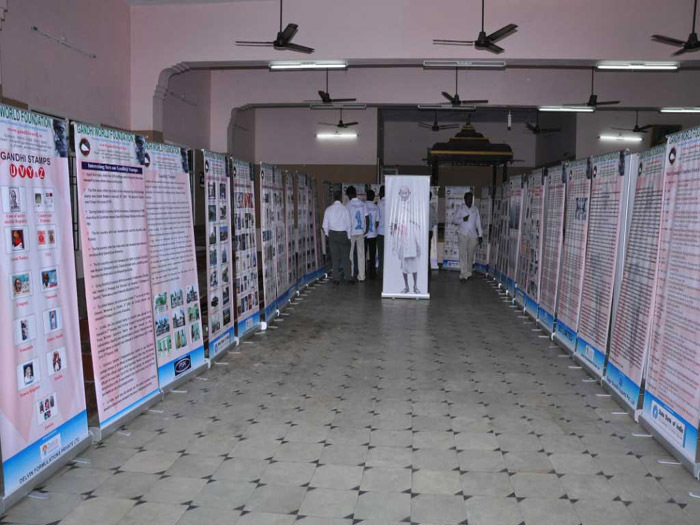 Gandhi Memorabilia Exhibition was inaugurated on July 18th 2012 by Shri.V.Kalyanam, Personal Secretary to Mahatma Gandhi (1944-1948) at 10.45 am L.V. 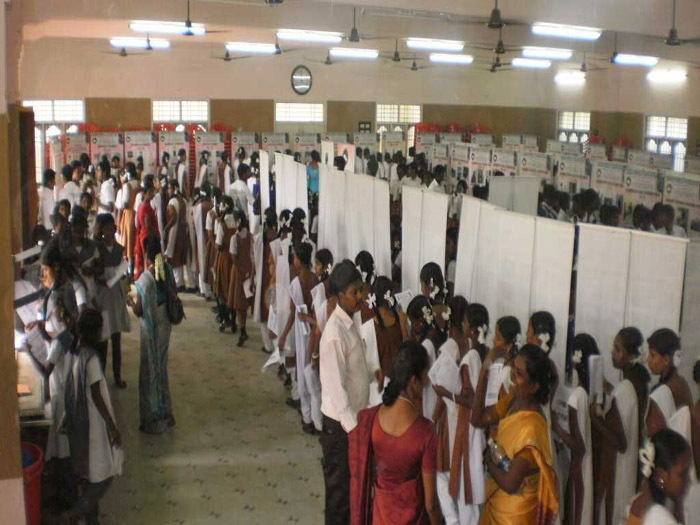 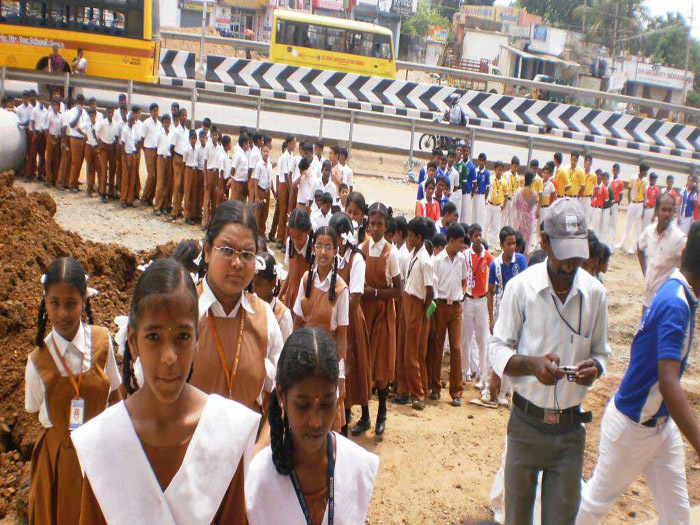 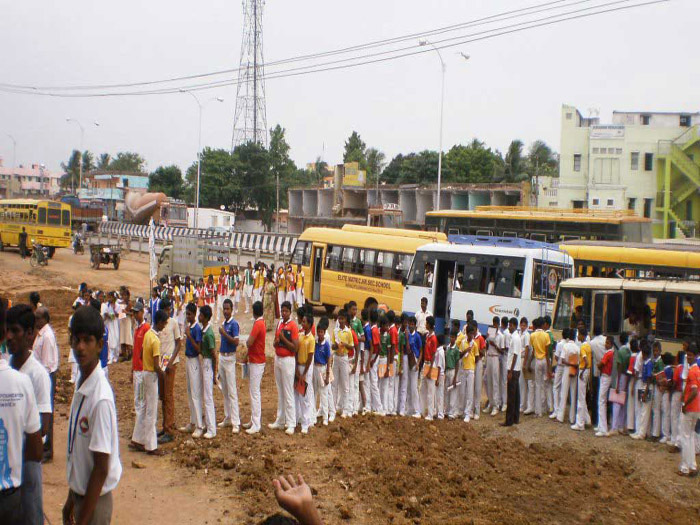 Mahal, Bye Pass Road, Gummidipoondi Subsequently close to 20000 Children in Gummidipoondi (all over Thiruvallur Dt) and had visited the exhibition for 3 days from July 18th to July 20th 2012. 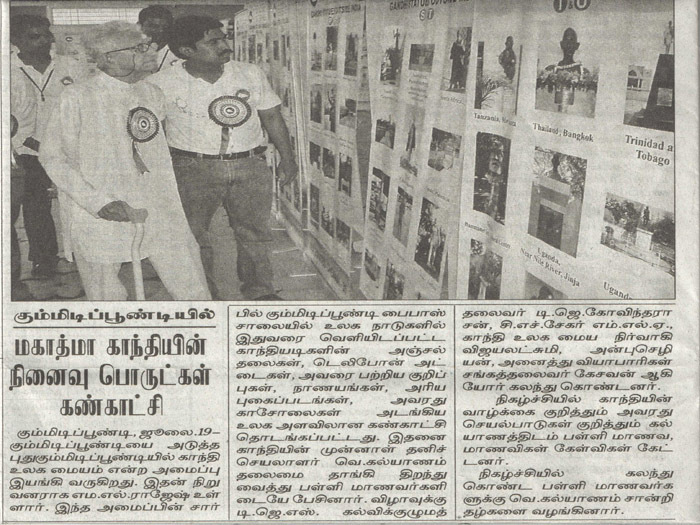 Pamphlets were distributed in English and in Tamil to all the Children visiting the exhibition. 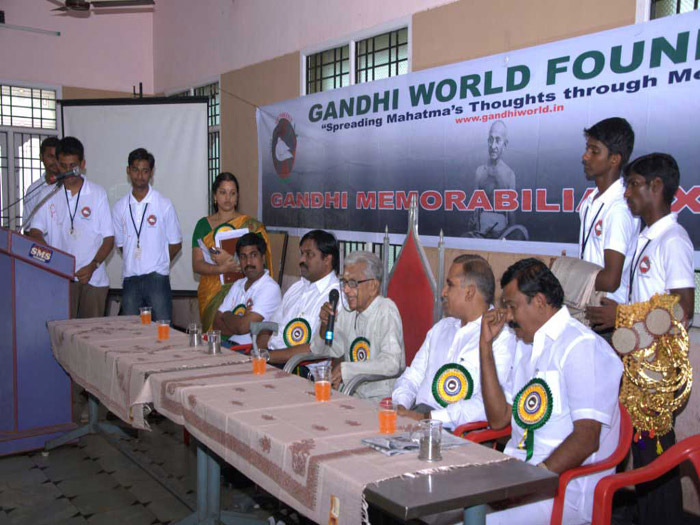 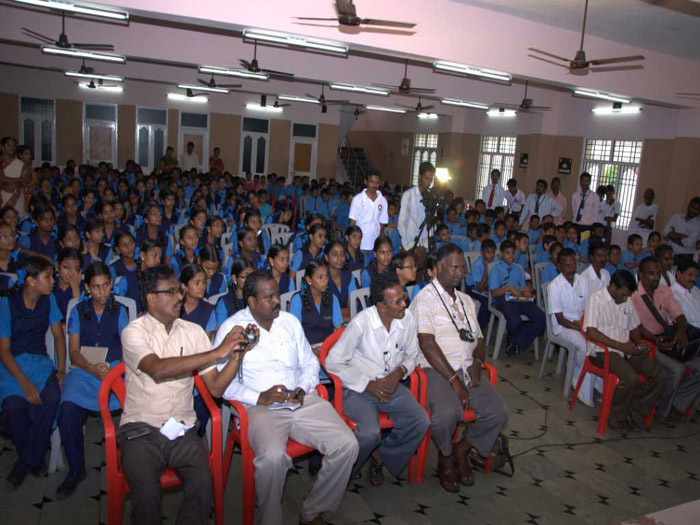 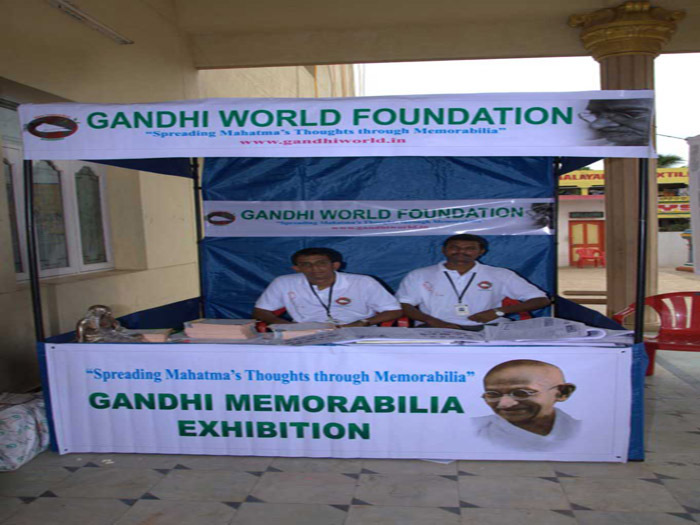 Moreover a 10 minute Documentary DVD on Mahatma Gandhi was shown to all the Children visiting the exhibition. 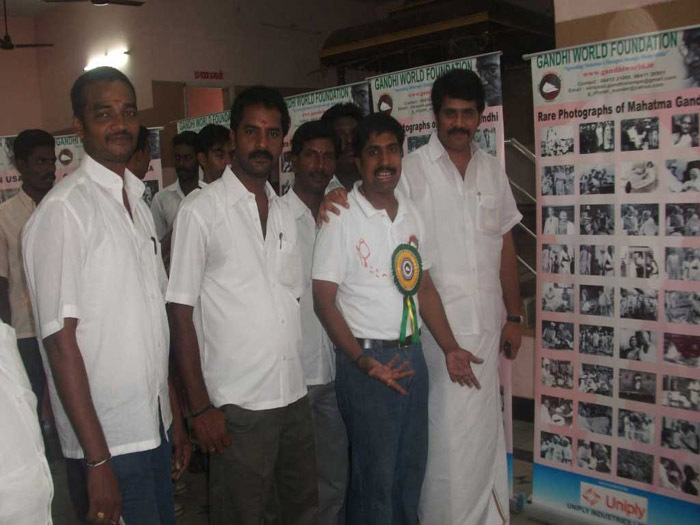 On June 18th, Gummidipoondi MLA Shri.CH. 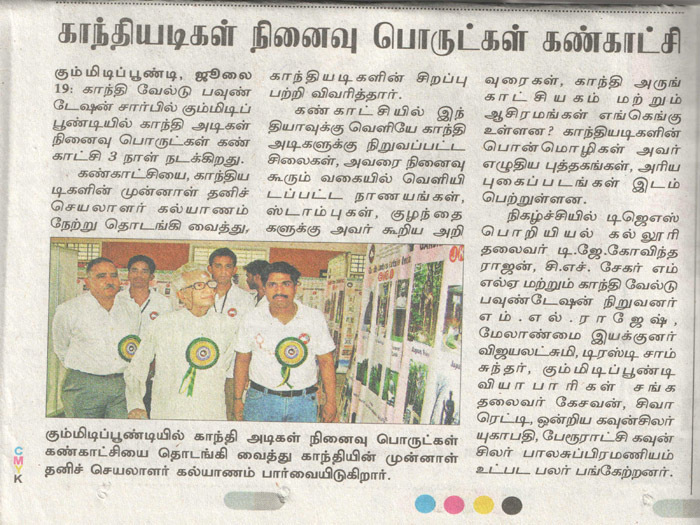 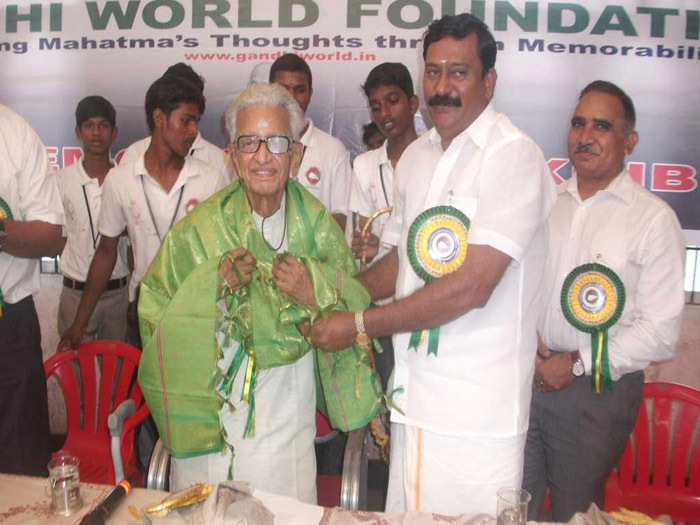 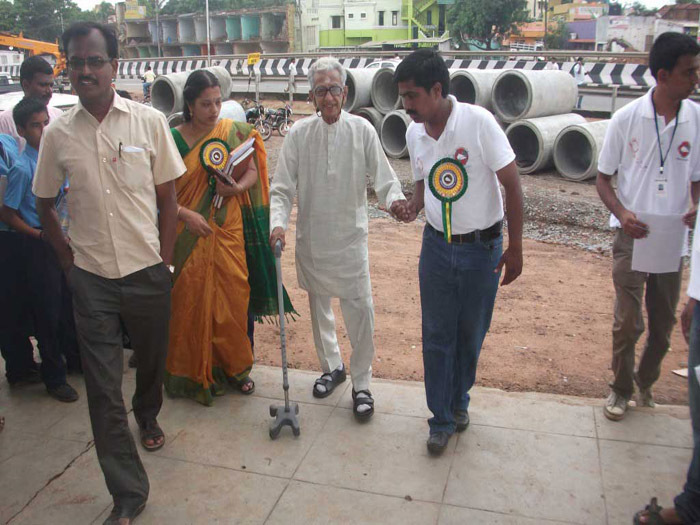 Sekar& TJS Engineering Collage Founder Shri. 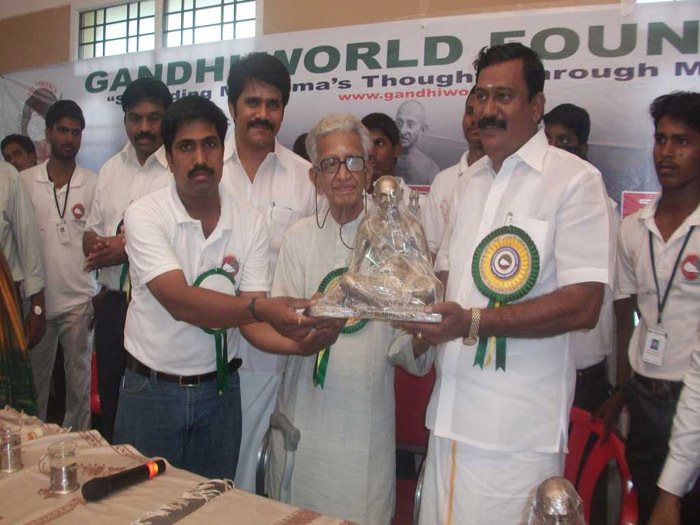 T.J. Govindarajan visited the exhibition appreciated the efforts of Gandhi World Foundation for conducting a fabulous exhibition on Mahatma Gandhi. 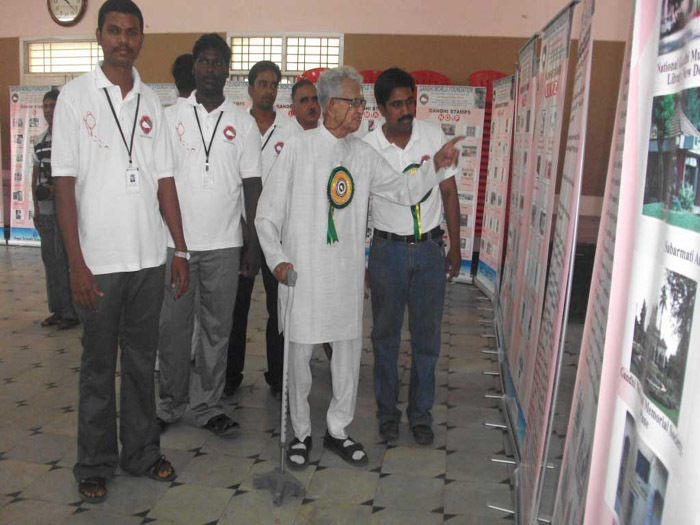 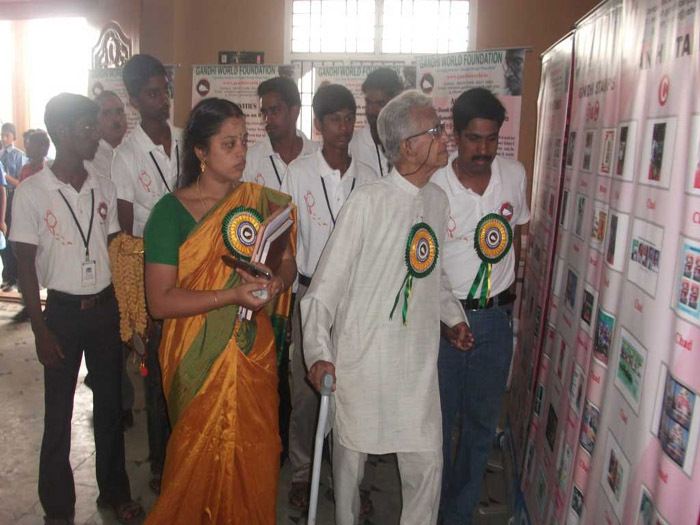 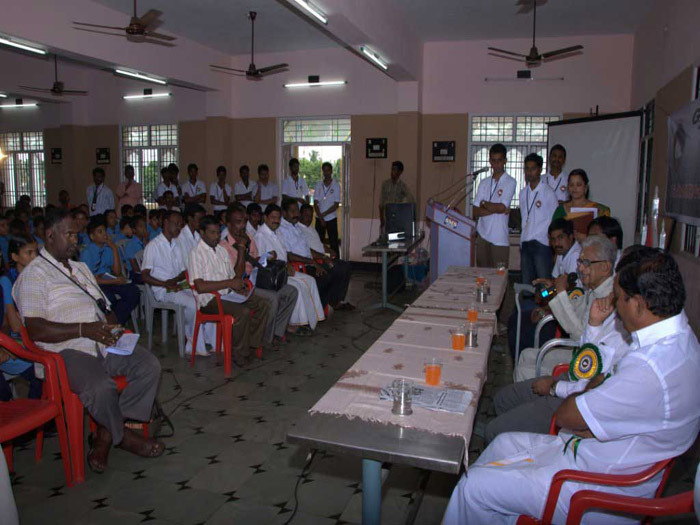 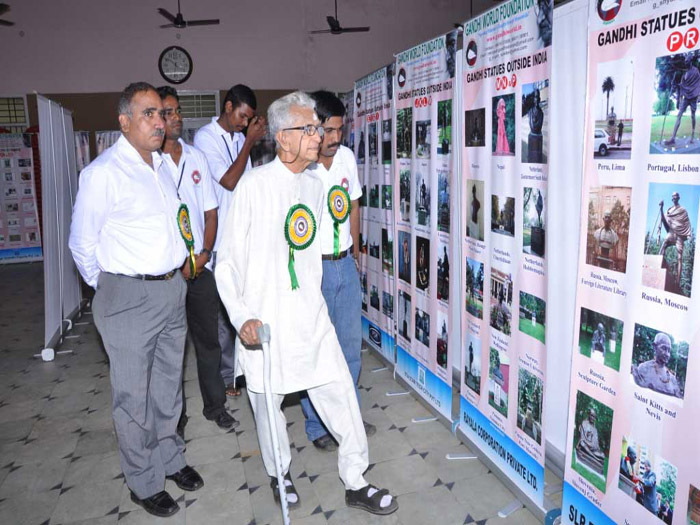 ML.Rajesh, Founder Trustee, Vijayalakshmi Rajesh Managing Trustee, and G.ShyamSunder,Trustee along with 30 Volunteers were present on all days during the exhibition.